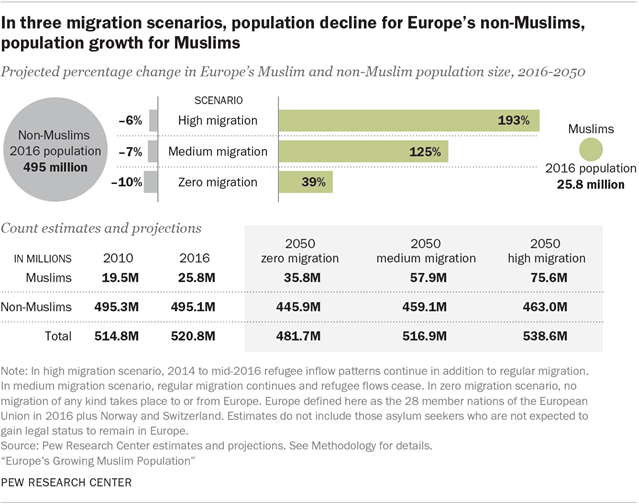 The recent surge in refugees from Syria and other Muslim-majority nations to Europe has prompted a backlash among segments of Europe’s population, including the rise of political parties that advocate a halt to immigration and groups protesting against the “Islamization” of the continent. But just how many Muslims are there in Europe? How many will there be in the future?